I recently visited Agra, the City of Taj Mahal and the former capital of Hindustan. It was my first proper trip here with the sole aim to admire the beauty of the magnificent mausoleum, which has enchanted the world for almost five centuries now. It is going to be a long travelogue with list of dos and don'ts apart from suggestions and tips. For a lay visitor, it could be an experience to watch the Taj Mahal. But if you have even the slightest interest in history, archaeology or architecture, then you will be truly astonished with the Taj complex. 1. Plan the trip in advance and at least stay in Agra for two days. A daylong visit will not only exhaust you, it doesn't do justice with the monument and other structures in Agra. You should at least, spend two days in Agra. 2. Taj Mahal remains closed on FRIDAY [Juma]. On this day only the faithful--mostly people in Tajganj, go to the mosque on the premises of the tomb, for prayer [Namaz]. So plan your journey accordingly. 3. In summers, it can be really hot. So try to get as early as possible in the morning. The ticket is just Rs 20 for Indians and there is no entry fee for those below 15 years. We had the ticket in our hand at 7 am and were inside the premises for almost 2-1/2 hrs on the first day. 4. If you are taking kids along. Then go after a proper breakfast, as you are not allowed to take any eatable--not even toffee inside the premises. You just take the water bottle. So children may feel tired as it is a really huge comlex. 5. While you spend thousands of bucks on the trip, don't be a kanjoos [miser] when it comes to getting a GUIDE. Yes, you may not choose the man who demands Rs 1,000 or Rs 350 but do get a guide for Rs 200-300. Without a guide, you will simply go around the structure marvelling at its beauty but would not be able to see the real magic. The guide will tell you things that you won't be able to spot. There are mysteries, illusions and unique aspects and in order to know them, the guide is a must. When the guides start approaching you from outside the entrance, you can choose one, but tell him that you need a patient person who can show the structure without hurry. 6. Of course, you should book the hotel through a well-known tourists' website, when you plan the trip. Prefer a hotel that is not far from the Taj. That will save you a lot, not in terms of just money or time. But if you are tired after going to Agra Fort or Hazrat Salim Chishti' dargah at Fatehpur Sikri, you'd realise how good it is to stay near the Taj. 7. If you want to take gifts for your family members, relatives and friends, find yourself a showroom of 'UP Handicraft'. Here, they won't tell you exaggerated prices. In fact, you will get a lot to choose from at reasonable price. 8. If you have sometime before going to the Taj Mahal, its a good idea to buy a brochure. Tourism department's booklets are also nice. They will give you insights and then you will be able to truly enjoy your visit. In fact, you will have a few questions for the guide then. And he will also take his job more seriously. 9. Normal cameras and cell phones are allowed. No laptops. Leave them in hotel room or at the cloak room [locker] at the main gate or in your hotel. Don't take other goods. Its better if your handbag has fewer things because it will make the security check easier. 10. You are allowed to take pictures, as many as you want. Normal cameras including the digital cameras are allowed. There is extra charge if you are carrying a big video camera'. That means a camera which looks like 'video camera' [big ones]. Normal digital cameras that can do recording are allowed and not an eyebrow raised at them. It is only in the inner part of the tomb that the photos aren't allowed. And yes, don't worry, on the premises, there is toilet. The Agra Cantt [Cantonment] or Agra Chhaoni railway station. The advisory for travellers to Agra will continue in later posts also. It was evening when our train reached the Agra Cantt railway station.We didn't have much luggage. But from the platform itself, a teenaged boy began following us. He was asking us about our destination. Then, he wanted to know which hotel we were going to stay in and which auto or taxi we would like to take and our budget. First we gently asked him to go away but he persisted. Walking with us on platform, the staircase, then the bridge and then to the platform number 1 until we came out of the station. He wanted to forcibly take us along to his taxi at the stand. We even shouted at him but it had no impact. Once outside, there was a crowd of auto and taxi walas. For a while, it seemed they would fight among themselves as to who would take us. The prepaid booth was also empty. Fortunately, we spotted the policeman soon. He was busy chatting with a group of auto-walas nearby. 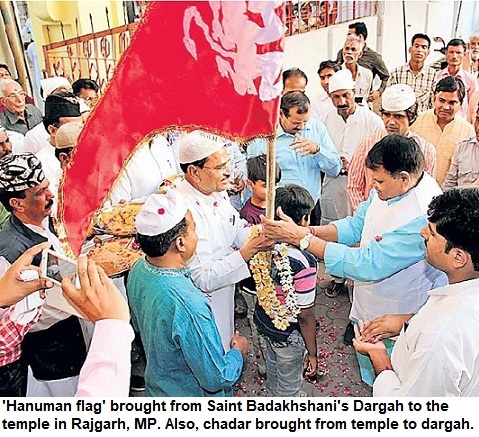 Compared to policemen at other cities in UP, he was clearly more 'tamiz-daar'. He shooed away the mob and we finally managed to take a taxi to the hotel, which we had booked through a travel website [and got a good discount due to online booking]. On way, I noticed that the road were now wider. Unlike other North Indian (UP) cities, there was no chaos here. Traffic was much better and less pollution. Clearly, the large number of tourists arriving here and the investment, had finally prompted local authorities to improve the infrastructure. The hotel looked much better than we had imagined. It was less than a kilometre from Taj Mahal. The next morning, we woke up soon after the crack of the dawn. All of us rushed to the roof of the hotel room, from where we had been told that we could see a morning glimpse of the Taj. they all drift away in the current of time. to perpetuate only the sorrow of your heart. Let the splendour of diamond, pearl and ruby vanish. We all know it was Mughal emperor Shah Jehan, who had commissioned to build the most beautiful tomb in memory of his beloved wife Arjumand Bano alias Mumtaz Mahal. 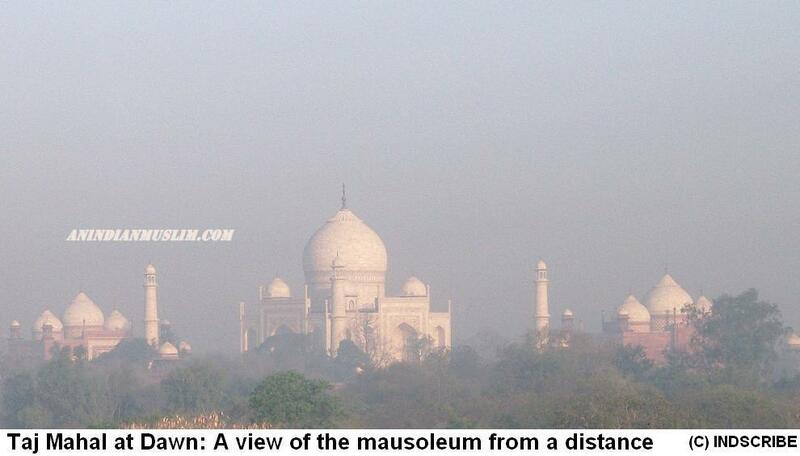 But apart from this how much do you know about Taj? It's mysteries, it's magic! 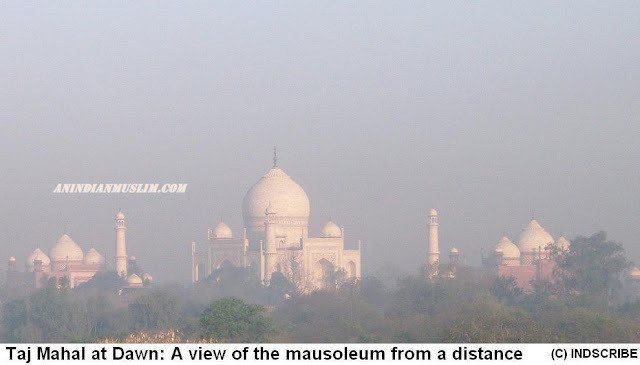 Keep reading the next posts under the Agra Travelogue series on this blog.